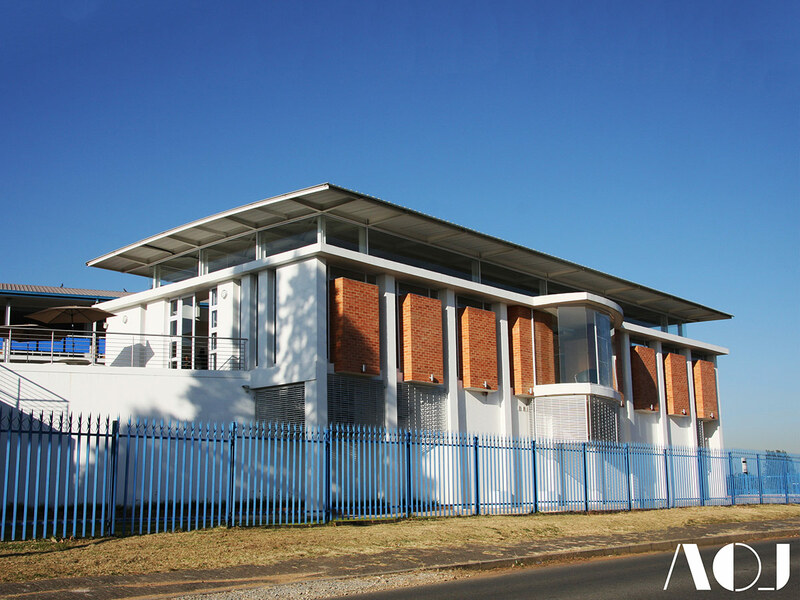 The Edenglen Primary School Resource Centre was opened by Barbara Creecy, the former Gauteng Education MEC, on 29 October 2009. The project gave us the opportunity to revisit our own education, as we had all gone to schools with functioning libraries, but especially because Kuba Granicki and Alessio Lacovig (two of the AOJ partners), had attended the Edenglen Primary School. We tackled the design from four different aspects. 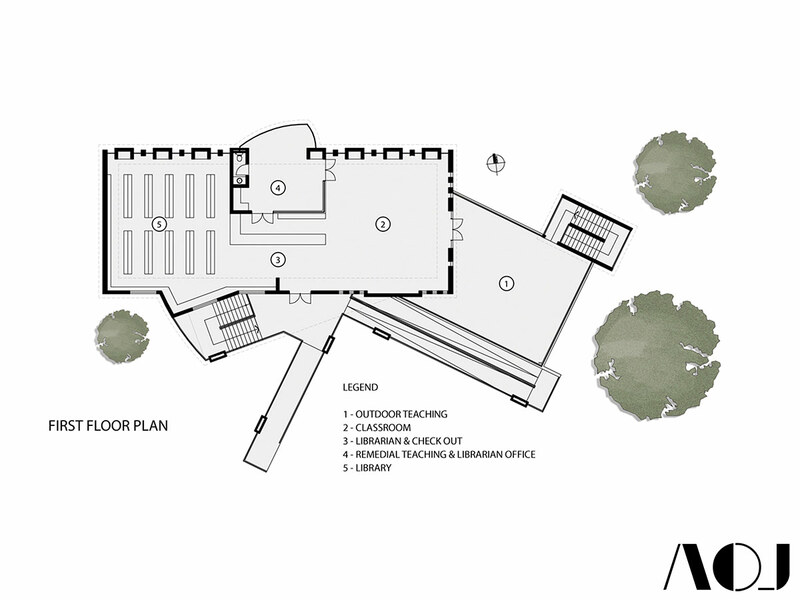 The first was approach and accessibility, the second was light and visibility, the third was accessible technology and the fourth was alternate teaching methodologies. We wanted a traditional library for the now. As we needed to compete with the other popular rectangular objects, namley the DVD and video game, the initial brief had to quickly grew from a library and also include a computer centre and an audio visual classroom. 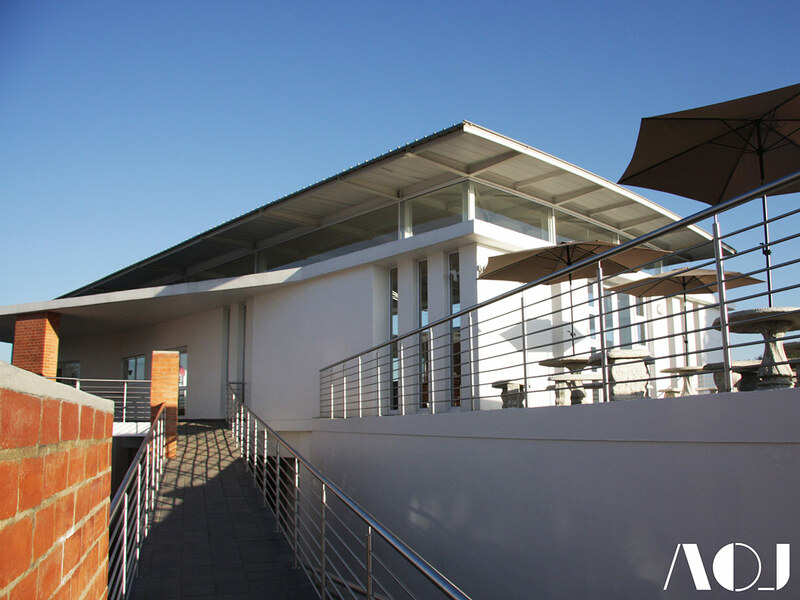 Furthermore, we used the new Resource Centre building to create paraplegic access to the first floor of the old classroom block. The site, formerly a playground with a lapa, occasionally used during big netball events, had a few constraints which led to the building being “kinked”. Orientation had to be taken into account the entire time. We knew where the building should be. We had already identified specific site constraints, so we designed with the solar orientation, as well the existing school fabric in mind, flush finished face brick accents compliment the original face brick school. 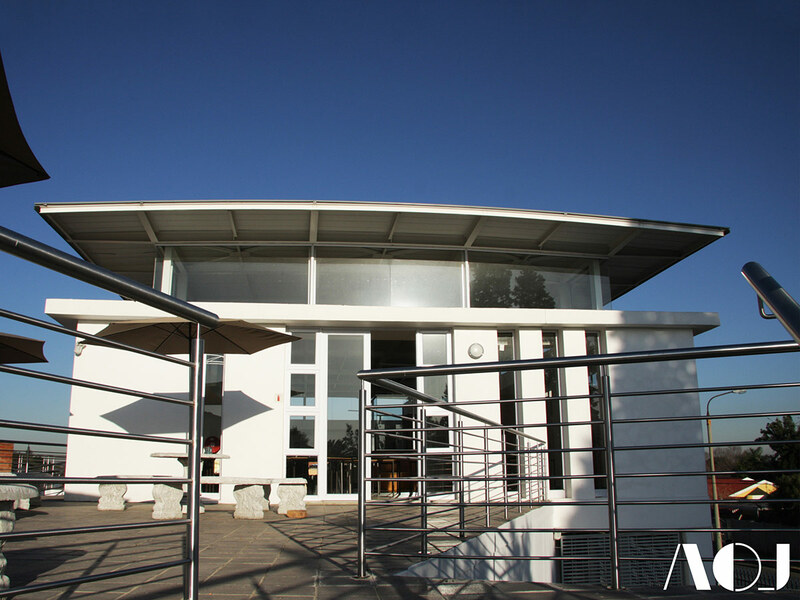 The Resource Centre is a little over 700m² of useable space and a footprint of approximately 400m². 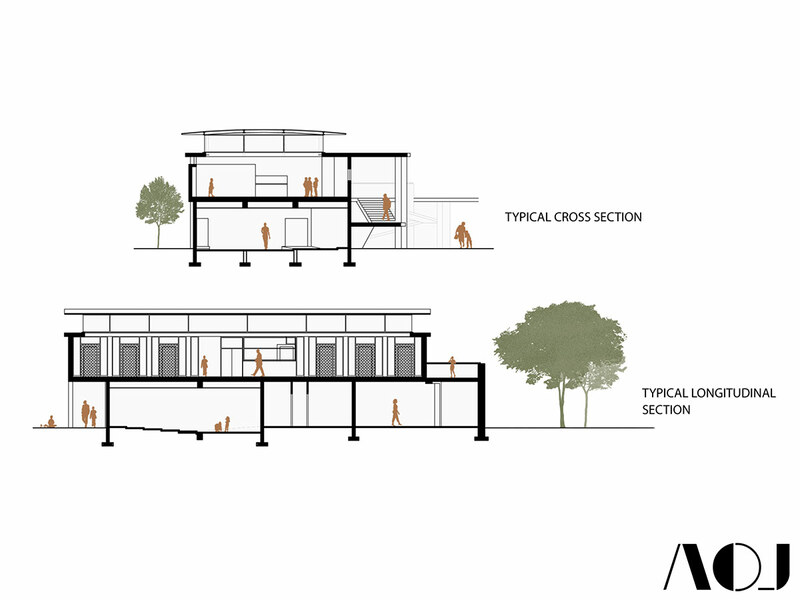 The design was constrained by one building line and the presence of underground services. 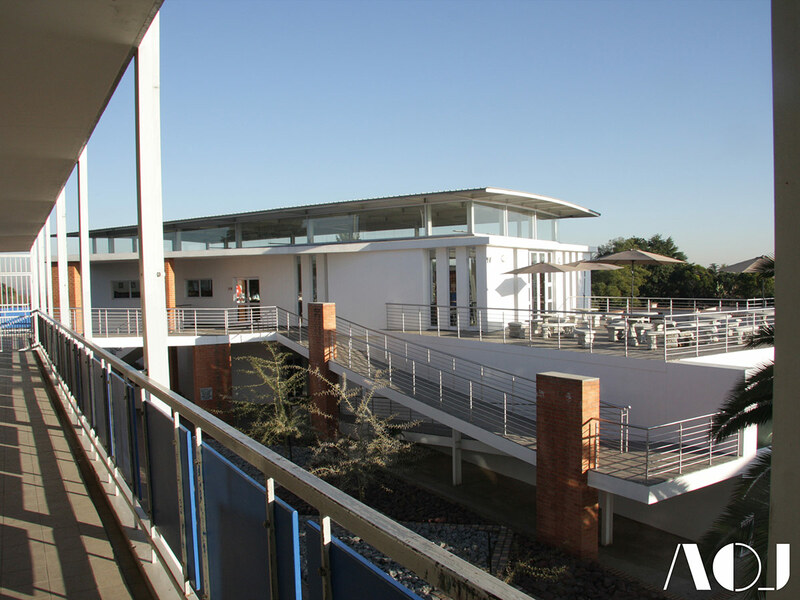 The existing school infrastructure is orientated north, while the sports fields and netball courts are square to the site boundaries. 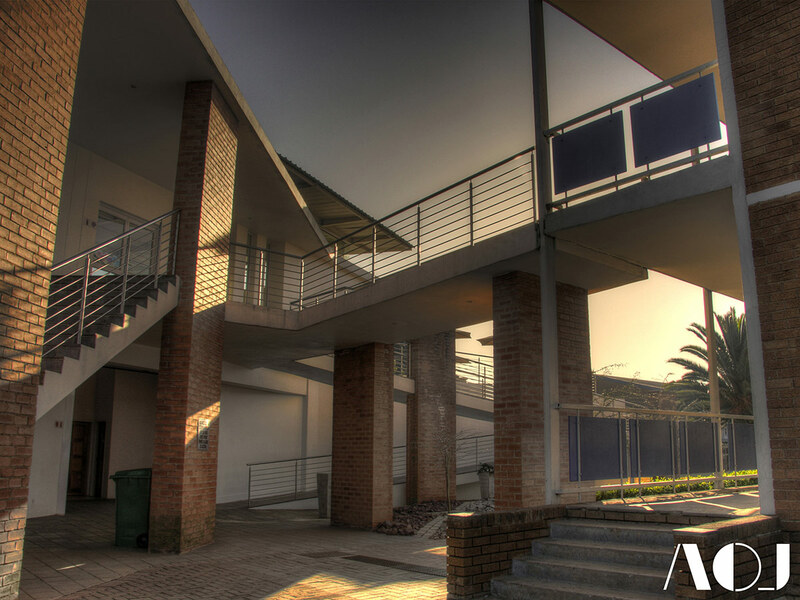 The new building is situated where the academic merges with the sport, hence the angle of the building. 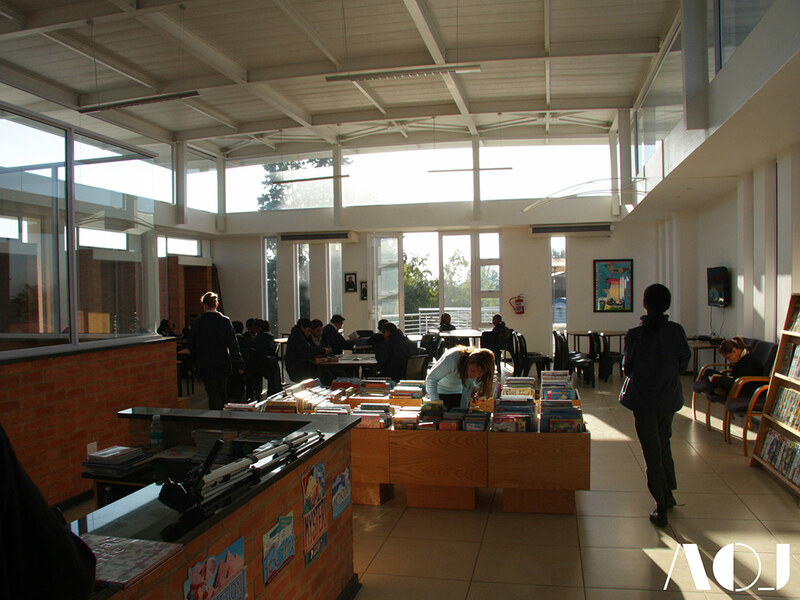 The second level of the building houses the library. 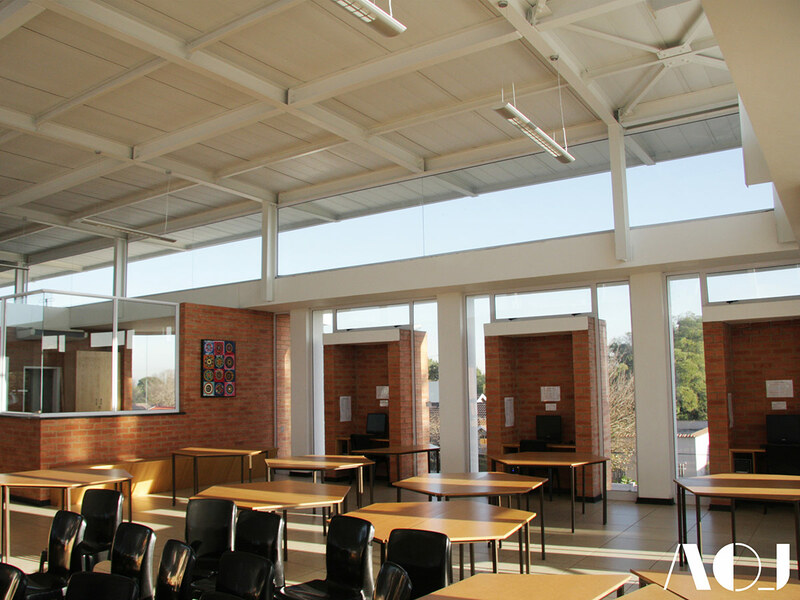 A clerestory window lets natural light into the library and the roof overhang is designed to minimise direct light and heat gain in the space. Strategically placed vertical window strips create privacy while not closing off the library from the rest of the school. 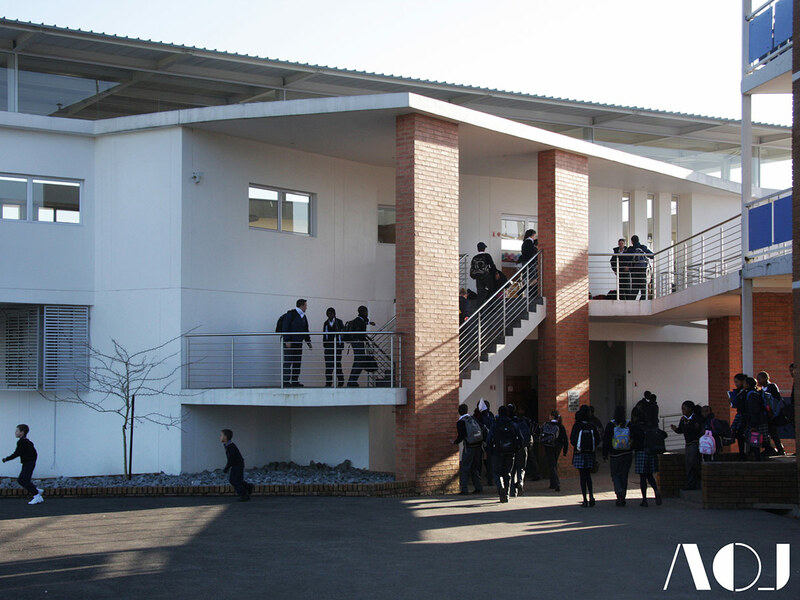 The building turns its back towards the sports fields, not shunning sports, but rather focusing on academia. 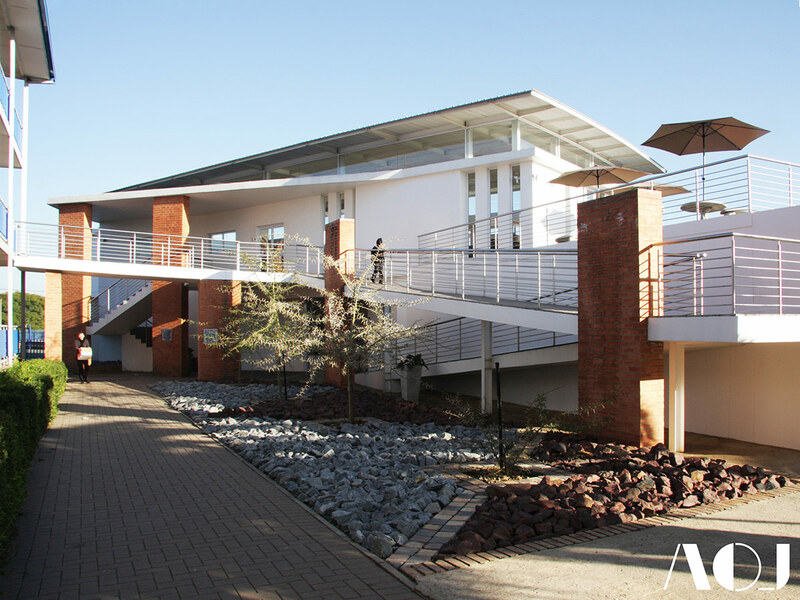 While both are important aspects of the schools curriculum, the Resource Centre is focused on academic achievement. 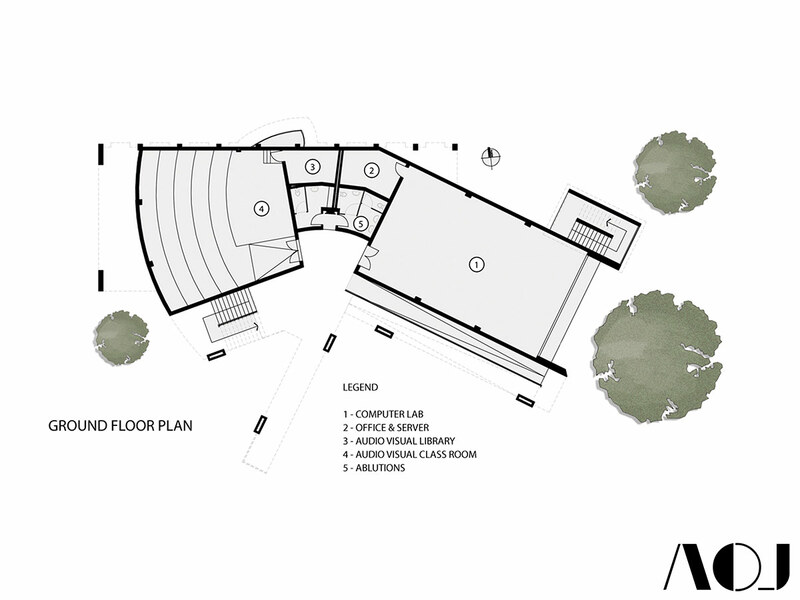 The upstairs area includes a small breakaway room with a box window overlooking the street, 138 running metres of book shelves allowing space for growth, and wall seating opens up for storage.